First edition. Octavo, original cloth. Inscribed by the author on the front free endpaper, “To Milo as a book collector, fellow friend love Jimmy.” Fine in a fine dust jacket. James Goldsmith was a member of the prominent Goldsmith family, was a British financier, tycoon and politician. In 1994 he was elected to represent a French constituency as a Member of the European Parliament. He founded the short-lived Eurosceptic Referendum Party in the United Kingdom, and was one of the key power-brokers in British political circles that initiated party political opposition in that nation to its membership of the European Union. Goldsmith was allegedly the inspiration for the fictional character of the corporate raider Sir Larry Wildman in the American cinema film Wall Street. 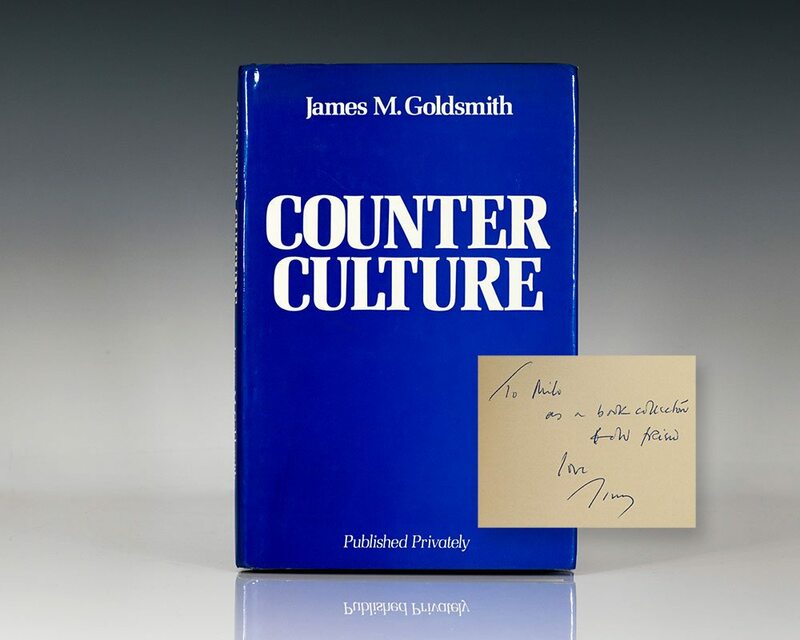 Margaret Thatcher said of him: "Jimmy Goldsmith was one of the most powerful and dynamic personalities that this generation has seen. He was enormously generous, and fiercely loyal to the causes he espoused."